Kirsten has specialised in family law since qualifying in 2003 and was promoted to Partner in our Family department in 2018. Kirsten’s focused on helping individuals resolve problems resulting from their relationship breakdown or difficulties in their family lives. She has experience in all areas of family law including divorce, separation, arrangements for children, financial issues arising on the breakdown of a marriage, cohabitation issues, drafting pre-marital agreements and emergency applications. 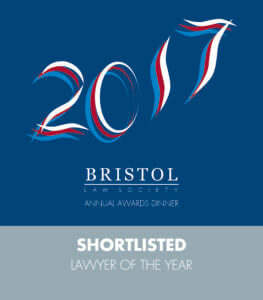 Kirsten is accredited by Resolution as a specialist family lawyer and is a Bristol Resolution Committee member. Thank you (Kirsten) for your support. Totally professional + so knowledgeable, it was a great relief to have you in my corner. Your calm, practical advice + ownership of the case was fantastic + much appreciated.